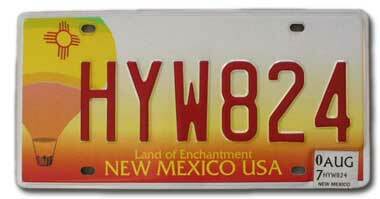 The official colors of New Mexico are the red and yellow of old Spain (as seen on the state flag). 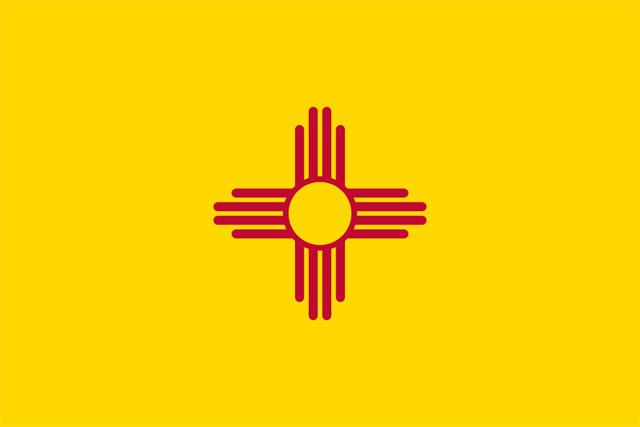 Flag of New Mexico; public domain image on Wikipedia. 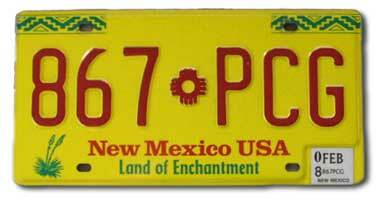 Red and yellow New Mexico license plate with state nickname "Land of Enchantment" (photo by Norm Russo; used by permission).